Ready in less than 20 minutes this chicken ragu recipe for pasta will help you make a delicious dinner the whole family will love! This wonderful chicken sauce is simple but tasty, using ingredients you most likely have in your pantry! 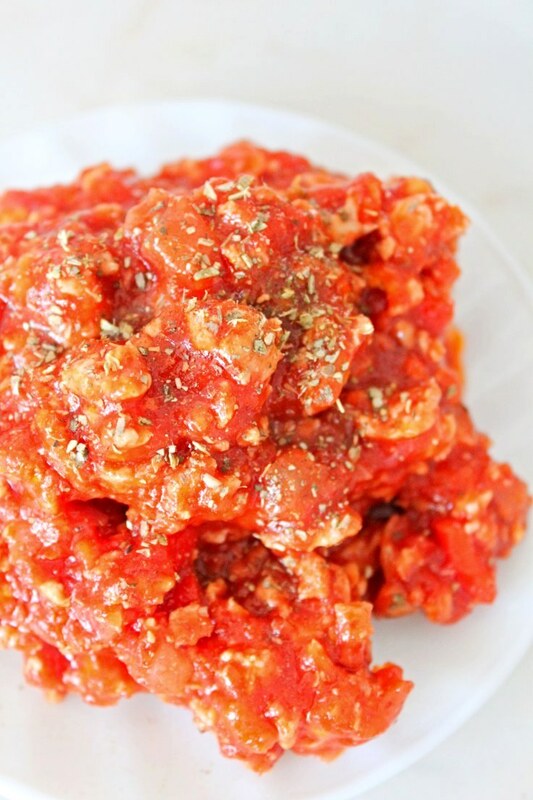 If yours is a super busy family too, you’ll find this chicken ragu a true life savior! It’s crazy easy to make and takes just a few minutes to prepare but paired with any kind of pasta helps you create a tasty, satisfying and filling dish that everyone will love! 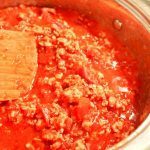 Most ragu or Bolognese recipes (Bolognese is a variation of ragu sauce) will take a long time to prepare but this is a short version, also kid friendly. So no alcohol involved in this recipe, as some prefer to make their chicken ragu. I decided to skip the wine (some cook their ragu with wine), to make the recipe suitable for children too and also appealing to people who don’t do alcohol. Some substitute the wine with chicken stock but I completely skipped this step! I’m being told the alcohol in the wine will evaporate during the cooking process and only the flavors will be left behind but I did not want to take my chance on this one. 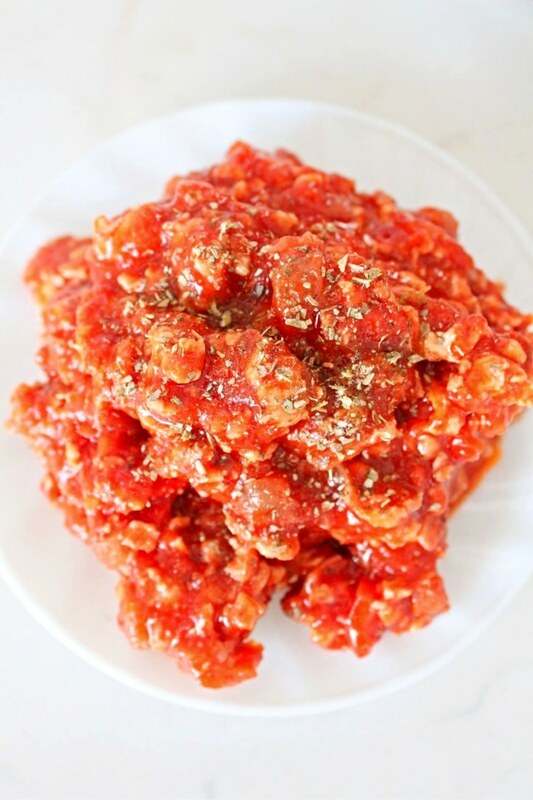 For this chicken ragu I also used onions, carrots, garlic, marinara sauce and dry oregano and thyme. 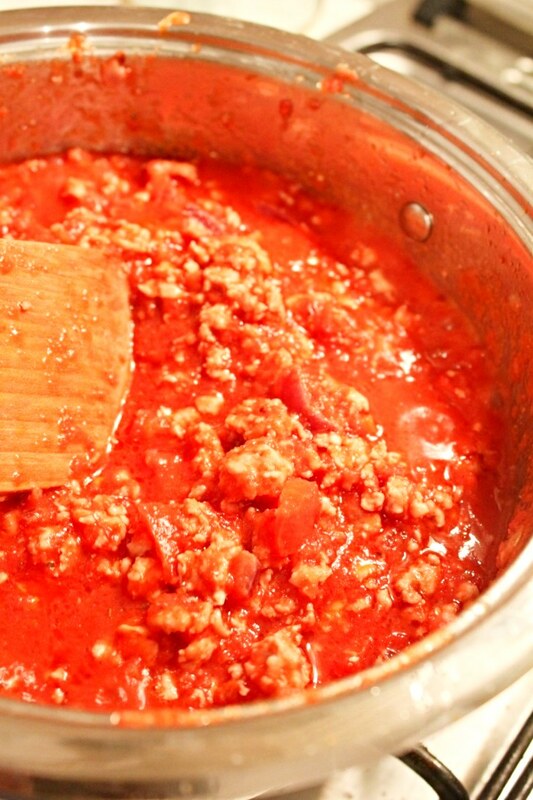 We served this sauce with spaghetti but any pasta will work well. Add the oregano and thyme and cook for an additional minute. 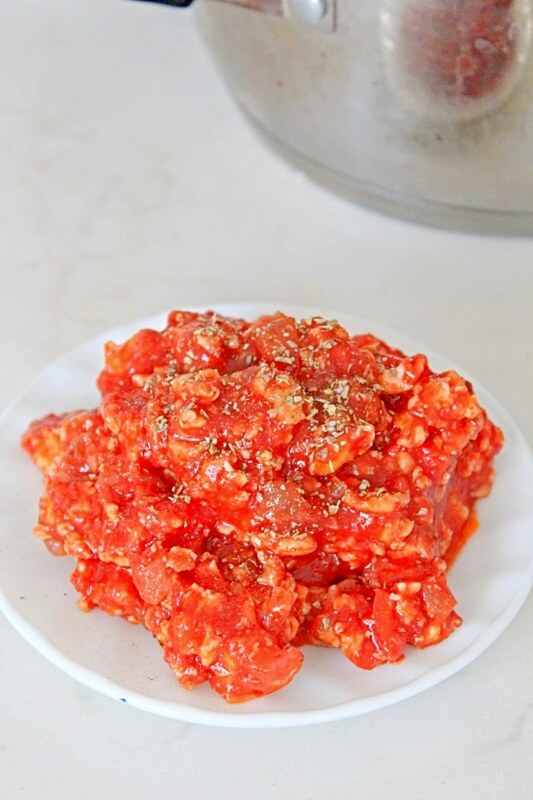 Pour the marinara sauce and the diced tomatoes and cook on medium heat until reduced a little, about 10 minutes.